China-Greece Friendship Concert was successfully held in Pallas Theatre. 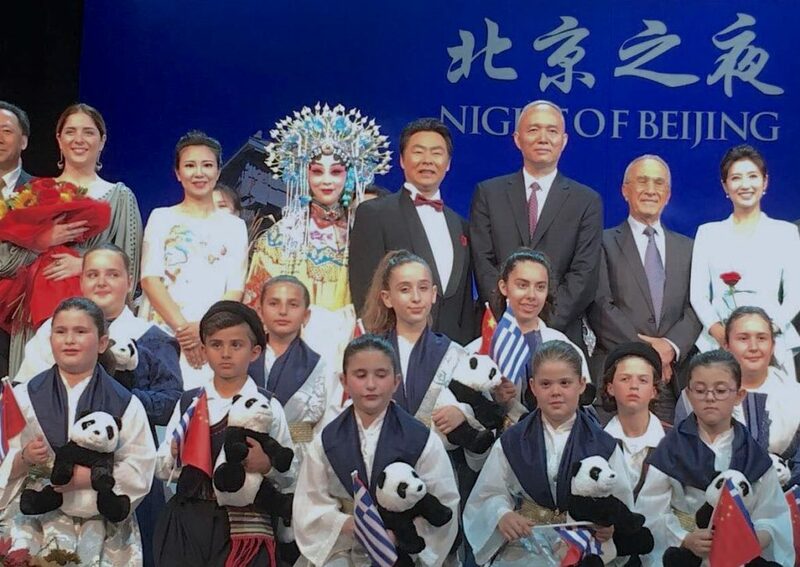 Last night, Night of Beijing China-Greece Friendship Concert was successfully held in Pallas Theatre, Athens. The concert was organized by the Beijing Municipality, the capital of the People’s Republic of China and China’s Embassy. China’s Broadcasting Chinese Orchestra, Beijing Peking Opera Theatre, China Conservatory of music, Greek National Theatre and Dora’s Stratou Dance Theatre and artists Zhang Xinyue, Sun Xin, Jiang Kemei and the famous Chinese tenor Ding Yi participated in this extraordinary event. Vassia Zacharopoulou was the guest artist. Along with tenor Ding Yi they performed Beijing’s Olympic Song of 2018 You and Me as well as Chinese traditional song Molihua at the grand finale of this great event. All the participants along with the General Secretary of the President of China.